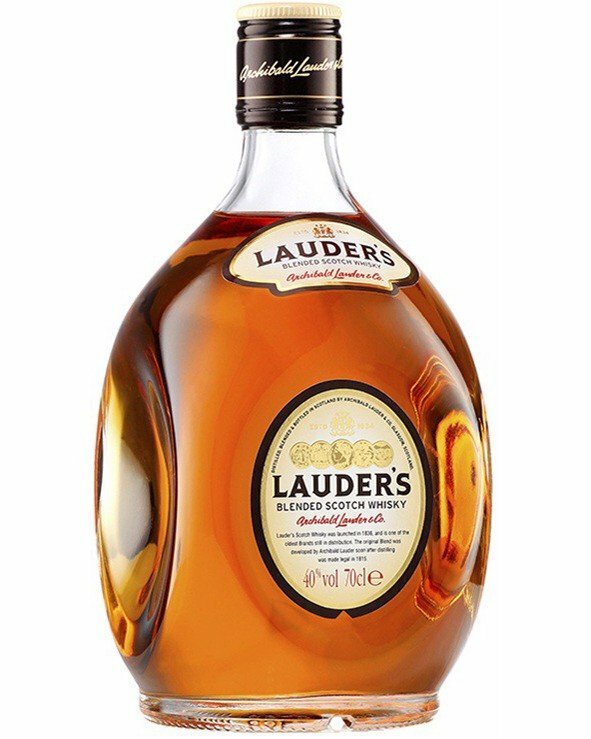 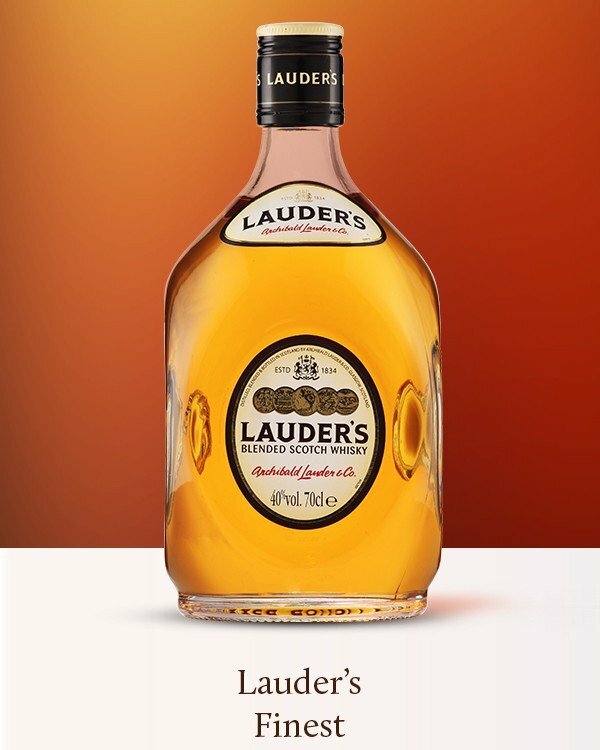 LAUDER’S FINEST is the original blend created by Archibald Lauder in Glasgow back in 1834. 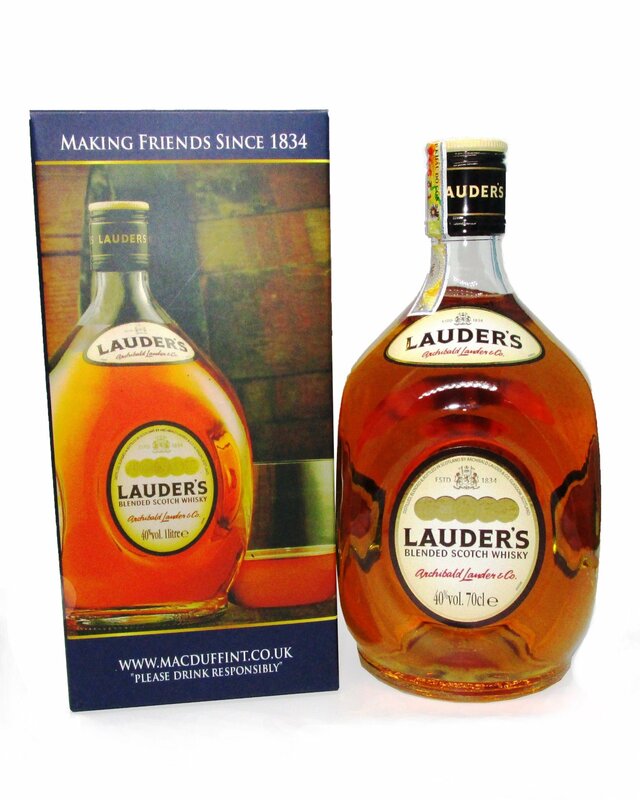 Originally created to meet the Glaswegian “Sweet-Tooth” of the clientele who frequented the public houses he owned. 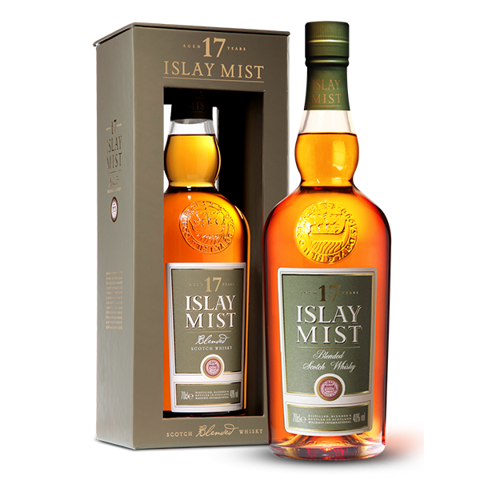 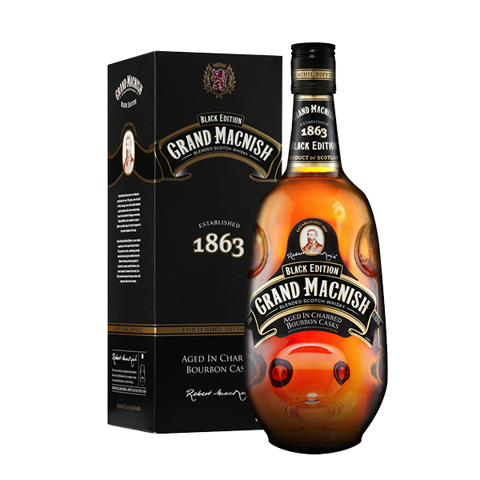 Blended from the finest Highland, Lowland and Speyside malts, matured in bourbon oak casks to create a light, yet fruity and full-bodied Scotch which has been in continuous production since 1834. 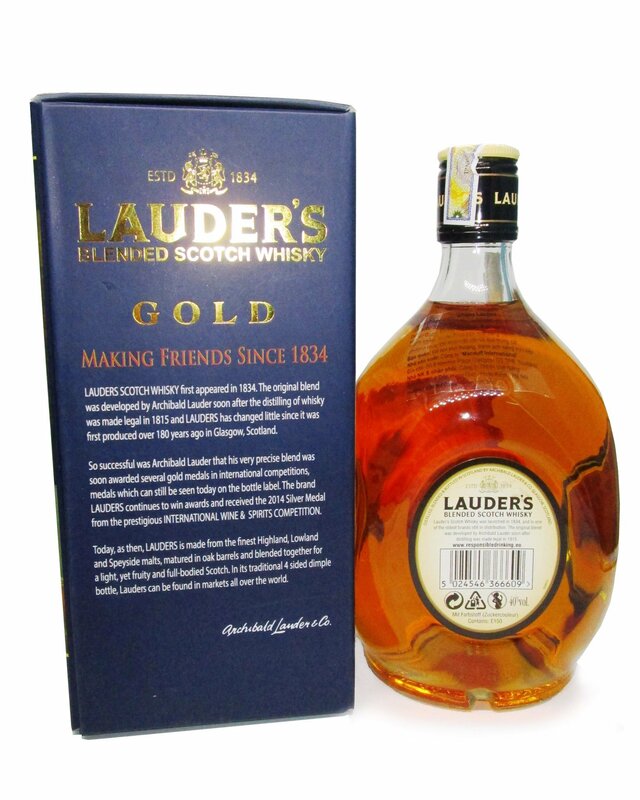 Archibald Lauder ’s very precise blend was soon awarded several gold medals in international competitions which can still be seen today on the unique 4 sided dimple bottle. 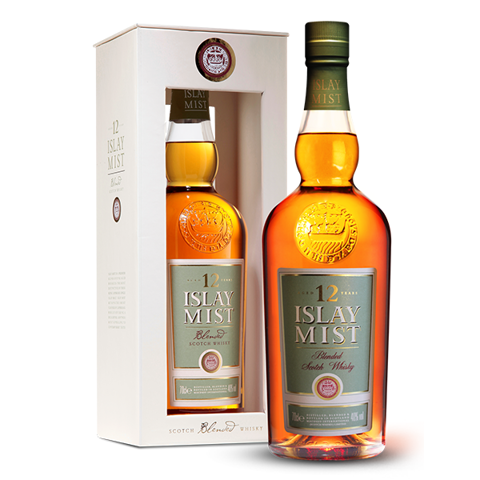 Nose: Fresh orchard fruits with vanilla notes and a hint of peat. 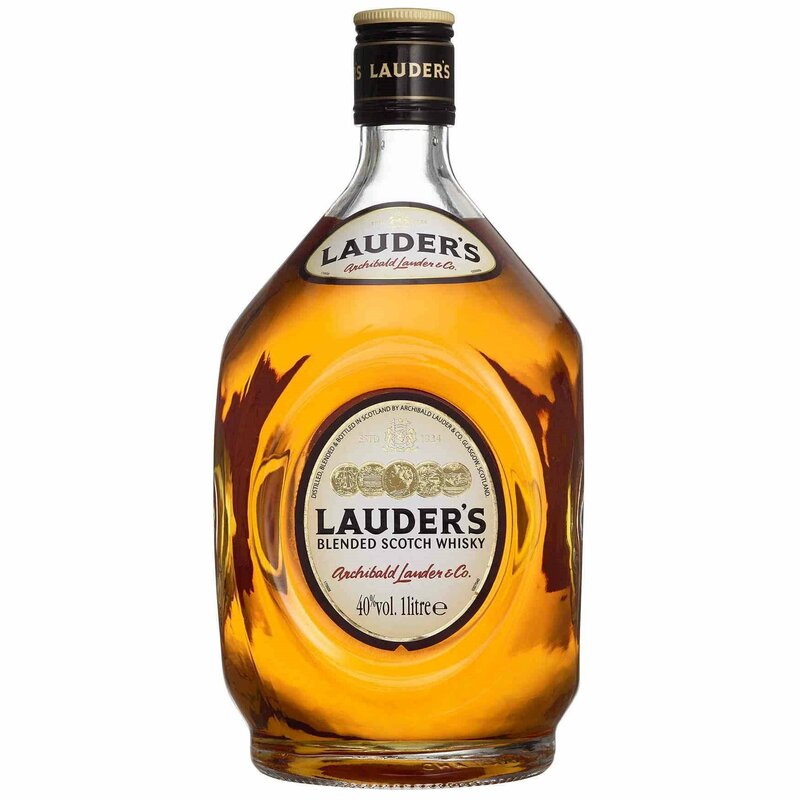 Palate: Sweet, floral and creamy with layers of mellow toffee. 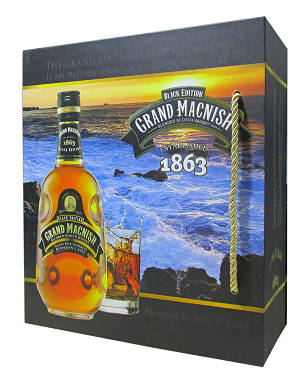 Finish: Long lingering smooth finish with hints of caramel.